I got a recipe from Jemma of Create Studio. P was in heaven with this mixture. She poured and stirred the dough herself. I gave her my bowls, spoons, cookie cutters and rolling pin to use. I think that might have been the best part. 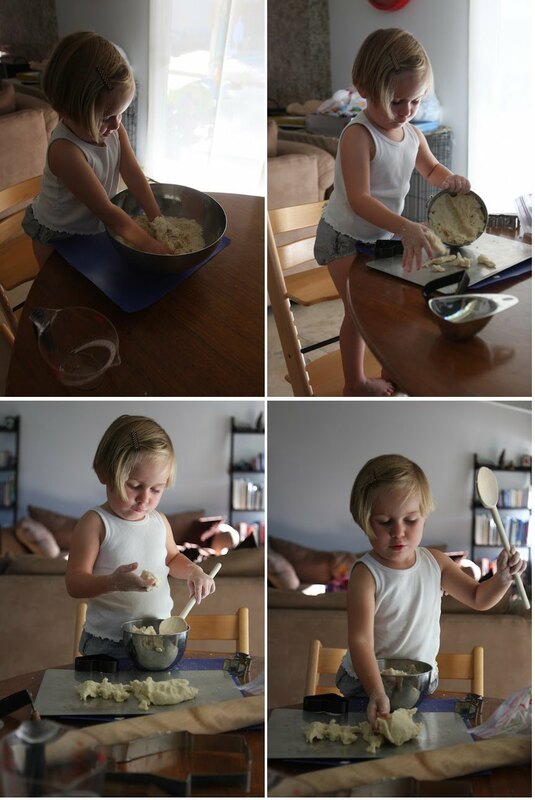 Getting to use my cooking tools instead of her play dough toys was so amazing to her. I actually got to make dinner and organize the kitchen in the amount of time it took her to create her “dinner”.